The article below is also available as a pdf. The conviction that Jesus was raised from the dead is found in the earliest evidence of Christian origins and appears to have come about almost immediately after Jesus’ death. How does one account for the rise of this extraordinary belief if the later Gospel accounts of a discovered empty tomb and corporeal post-mortem appearances of Jesus are legends, as many scholars believe is the case? One popular answer to this question is that the resurrection belief came about as an inference from an unconsciously generated and cognitive dissonance reducing bereavement vision of Jesus, described by one proponent of the vision hypothesis as “an auditory and visual experience of Jesus alive and in heavenly glory.” The vision hypothesis is supported by the fact that the Gospels often connect seeing Jesus with causing belief in Jesus’ resurrection, so a historically causal connection between the two seems natural. However, the earliest statements of Jesus’ appearances (1 Cor. 15.5-7) actually do not state any causal connection between the appearances of Jesus and belief in Jesus’ resurrection; they only state that Jesus appeared. 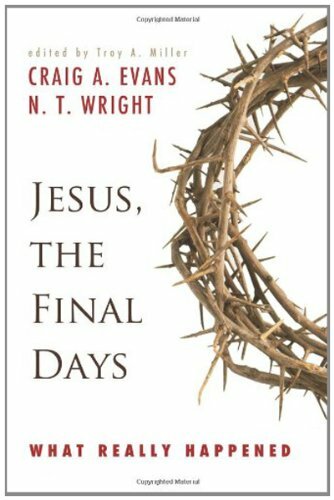 Additionally, the Gospel appearance traditions are trying to bolster belief in Jesus’ resurrection many years or decades after Jesus’ death, so they may simply be part of a legendary trajectory that is trying to ground the initial resurrection belief in hard evidence for apologetic purposes, just like the discovered empty tomb tradition does. If so, then it is possible that the resurrection belief came first, and then the visions of Jesus followed. Allowing for this possibility, this article attempts to improve on an already developed but I believe undervalued explanation for the rise of the resurrection belief that draws on the extraordinary human phenomenon of cognitive-dissonance-induced rationalization. I’ve been away from the blog for a couple months, so I’ve decided to give an update on what I’m doing. As previously noted, I am currently on a medical leave of absence from school. Recently I have been heavily focused on improving my health, while thinking about the direction I want to take my career. I’m not going to lie, over the years managing this blog has often tired me out. There is a lot of antagonism within the field of Biblical Studies. It provides an interesting contrast with the field of Classical Studies, where there tends to be less controversy and intensity between different viewpoints. I feel that focusing too much on the debating and critiquing side of scholarship has sometimes sapped my creative energy. I am still unequivocally opposed to the way organized religion has penetrated academia. I have no problem with Christian scholars working on the subject of ancient history, but I don’t think there should be accredited academic institutions (with doctrinal statements) designed to favor one particular religion (or atheism, for that matter). It fundamentally differs from what I view as the proper role of a university, and I hope to be active in addressing that throughout my career. But, there is also a bigger world out there, and I want to feel free to explore it. There is so much acrimony (on both sides) in online discourse about the historical Jesus, the Bible, etc. I realize that this is due to the wider controversy and polarization of thought that surrounds these matters, but it can also be very tiring. When I started out studying Classics, I felt like I was having a lot more fun and passion for what I was doing. But all the antagonism in Biblical Studies has had the unfortunate effect of making my scholarship feel like a chore. I want to fix that, because it’s not how I want my career to feel throughout the coming decades. Since I am doing a lot of internal reflection right now, I want to let my readers know that my blog posts will probably be sporadic over the next several months. I don’t want to feel like I am obligated to write here. I should do so out of passion and interest. For this reason, if you are a patron on my Patreon account, feel free to unsubscribe, since this blog will be less active. I’m going to keep the account open, should I ever decide to start posting more again, and also for people who simply want to be patrons of my academic work outside the blog. In terms of upcoming material, I have a guest article that I will be posting soon, written by Kris Komarnitsky (author of Doubting Jesus’ Resurrection: What Happened in the Black Box?). Other than that, we’ll just see how I’m doing. I hope that this announcement doesn’t come as a disappointment to certain readers. I have to take care of myself and make sure that I am happy with my work. As such, I’ll be utilizing my leave of absence to deeply consider the future direction I want to take in academia. Hopefully what I’ve written makes sense, and apologies if it seemed like a long confessional (haha). 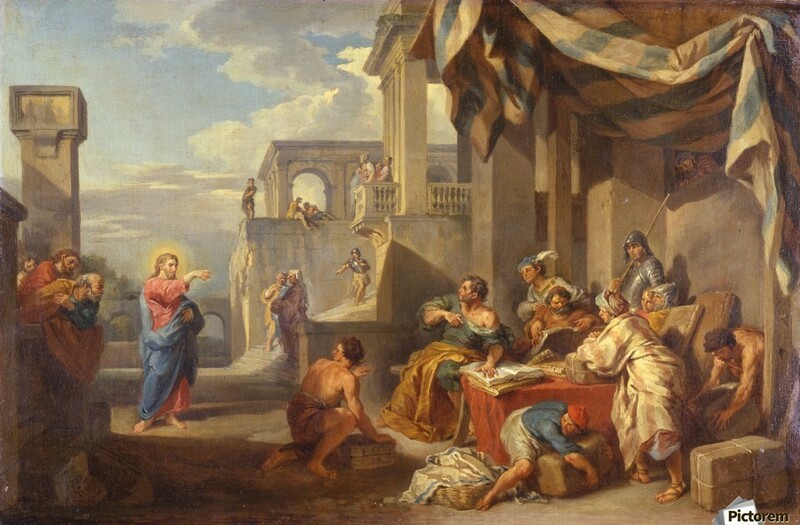 “Matthew” is first mentioned in Mark among the list of twelve disciples in 3:16-19. There, no indication is given that this individual is the same “Levi” mentioned in Mk. 2:13-17. This is a curious omission, since the author of Mark specifies elsewhere when the same individual was known by two names. 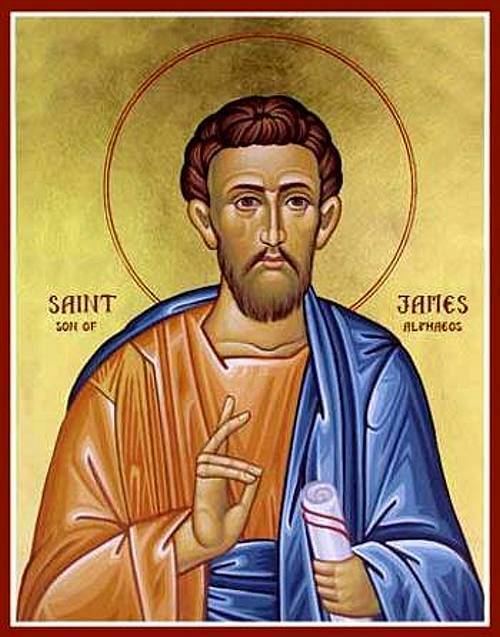 In the same list of disciples, he clarifies that “Simon” was also known as “Peter” at 3:16 (which is a point also reinforced at 14:37). The former of these identifications help to bridge the reader between the Simon who first appears in 1:16, and the character Peter who first appears solely by that name in Mk. 5:37. I call this a bridge, because the names “Simon” and “Peter” switch, right after the two figures are connected in the list of the twelve at 3:16-19. I am actually going to turn your intuition on its head. Let’s stop and think about what it would take to turn Alexander into a fabulated hero. The historical Alexander had already accomplished many extraordinary deeds during his lifetime. He had expanded the small countries of Macedonia and Greece into conquering most of the known world. He had traveled as far as India and deep into Central Asia. He had vanquished great kings and generals. He had founded many cities and left behind a great empire (even if it fractured). And he had done all of this by his early-30’s. So, I actually think that someone like Jesus would have far more fabulation occur in his popular biography. Note, both Alexander and Jesus had their legends take shape around mimetic models. Alexander was modeled on figures such as Hercules, Achilles, and Odysseus. Jesus was modeled on figures such as Moses, Elijah, and Elisha. But Jesus’ story needed far more miracles and wonder-working in it, in order to raise him from an obscure peasant to someone far more remarkable. Alexander didn’t need that. He already was remarkable. It didn’t take as much myth-making to impress people with Alexander’s story. But who wants a King of the Jews and Messiah that does nothing but wander around giving sermons and speaking in parables? You need to add miracles, thunder, and furry to the story, in order to get people to follow Jesus. A final note is that fabulation also did seem to take place more slowly with Alexander than Jesus. Our earliest versions of the Alexander Romance date to centuries after his death. Scholars such as Richard Stoneman think that they may be based on an earlier archetype, dating to only a couple generations after Alexander’s lifetime, but we can’t be sure. In contrast, we know that none of the Gospels could have been written any later than a century after Jesus’ death. And I think there are reasons why the Gospels needed to be written sooner. To get Christianity off the ground, you needed to have extraordinary tales about Jesus circulated quite early. Otherwise both Jesus and Christianity would have faded into obscurity. Alexander, in contrast, would have remained quite famous for centuries, with no help from the Alexander Romance being needed to preserve his memory and legend. So, as I said at the beginning, counter-intuition may be the answer to your question. I think answering this question shaped into a nice post on its own, and so I’ve posted it on the main page of this blog. Both teaching and dissertation work have been keeping me occupied of late. I have an exciting announcement about an important conference that I have been accepted to present at later this year, which I will discuss here at some point in the near future. But otherwise I’ve had less time for blogging than I would like. I’m still soliciting guest blogs to help keep up with posting regular content. If you are interested in contributing to the content here on Κέλσος, please contact me about any ideas you have for essays relating to secular perspectives on the Bible, ancient history, philosophy, or counter-apologetics. I especially welcome book reviews. I would be amiss, however, not to briefly discuss a very interesting paper that I saw presented a little over a week ago at the 2018 Pacific Coast SBL meeting. The presentation was given by Margaret Froelich, who is a PhD candidate at Claremont School of Theology. I actually met Froelich two years ago at the 2016 Pacific Coast SBL meeting. 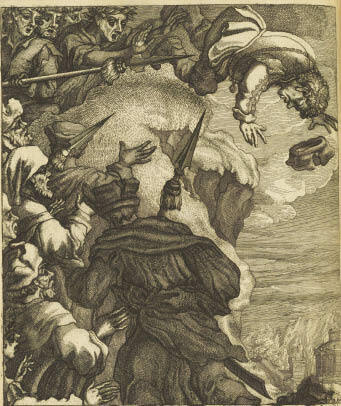 The title of the presentation was “‘You Are to Be Thrown from the Cliff’: Insult and Disputed Identity in Luke and the Life of Aesop.” Since the paper is being submitted to be published as a article, I won’t spoil too much of the content, beyond what can be gleaned from the title. 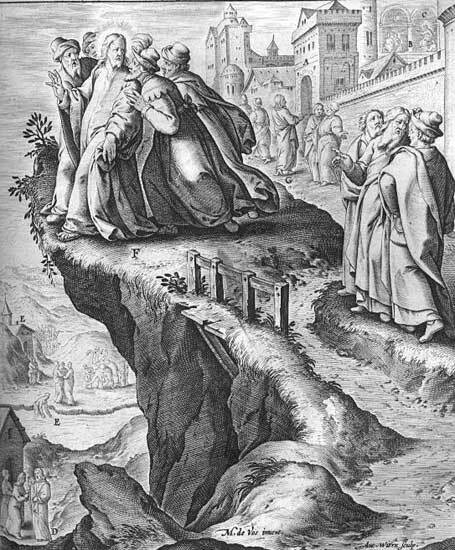 “The Delphians came in to Aesop and said, ‘You are to be thrown from the cliff today, for this is the way they voted to put you to death as a temple thief and a blasphemer who does not deserve the dignity of burial … The Delphians were not deterred but took him off and stood him on the cliff … Aesop cursed them, called on the leader of the Muses to witness that the death was unjust, and threw himself over the cliff. And so he ended his life. When the Delphians were afflicted with a famine, they received an oracle from Zeus that they should expiate the death of Aesop. Later, when word reached them, the peoples of Greece, Babylon, and Samos avenged Aesop’s death” . Now, as I have discussed how, like other popular-novelistic biographies, Aesop’s death in the Life is characterized by a pattern of unjust death followed by divine vindication. Aesop is executed because he is wrongfully accused of stealing an ornament from the Temple of Apollo at Delphi, but a famine is sent to the Delphians by Zeus after the incident to vindicate the death of Aesop. In similar fashion, Alexander the Great is betrayed by his lieutenant Antipater in the Alexander Romance (3.31), who kills him by sending Alexander poison contained in a lead vessel. But, Alexander’s death is vindicated by dark mist filling the air during his death in Babylon (3.33), and the shaking of the bronze statue of Zeus in Babylon. Hesiod in the Certamen of Homer and Hesiod is betrayed by hosts he is staying with murdering him and casting his body into the sea, but Zeus sends a thunderbolt to sink their ship. On the “third day” after his death, dolphins carry Hesiod’s body to the shore. Now, Jesus’ crucifixion and vindication by God after his death in the Gospels has parallels with all of the examples above: like Aesop, Jesus was executed at a culturally vital temple, since the Temple of Apollo at Delphi was nearly as important to the Greeks as the Jewish Temple at Jerusalem was to the Judeans; the darkness at Alexander’s death and the shaking of the statue of Zeus is very similar to the midday darkness at Jesus’ crucifixion and the ripping of the curtain in the Jewish Temple; Hesiod’s body being carried to the shore by dolphins on the “third day” after his death obviously shares the “third day” motif with Jesus’ resurrection. Froelich will discuss in the upcoming article the historical, sociological, and literary reasons why this scene in Luke is probably based on Aesop’s famous manner of death. For now, I am simply glad to say that I have another parallel to discuss in my dissertation. Furthermore, this particular parallel could suggest that the Gospel of Luke was familiar with the Life of Aesop itself (perhaps an earlier version than our surviving recensions). That’s a possibility that I’ll need to explore further, so I’m glad that Froelich brought this new research angle to my attention! I have used Lloyd Daly’s translation for this passage.